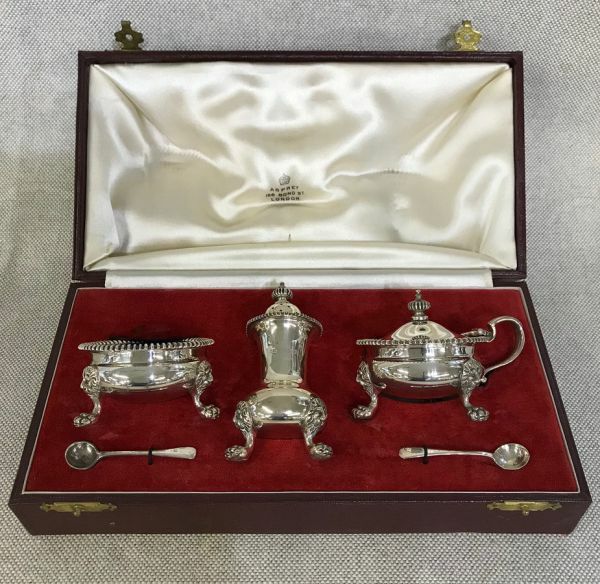 English sterling silver condiment set in original presentation box. In the style of George II era silver. English hallmarks for Birmingham 1954. Made by Adie Brothers, retailed by Asprey, 166 Bond St., London. 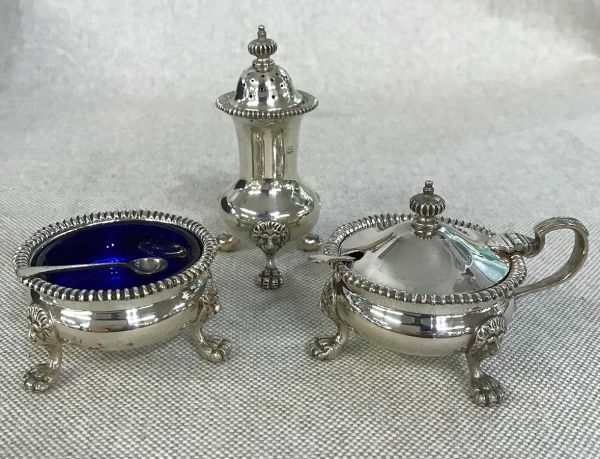 Comprised of a salt cellar with spoon, mustard pot with spoon, and a pepper pot. The pepper pot is 3 1/2” high. The box is 5” by 9 1/2”, 3” high.